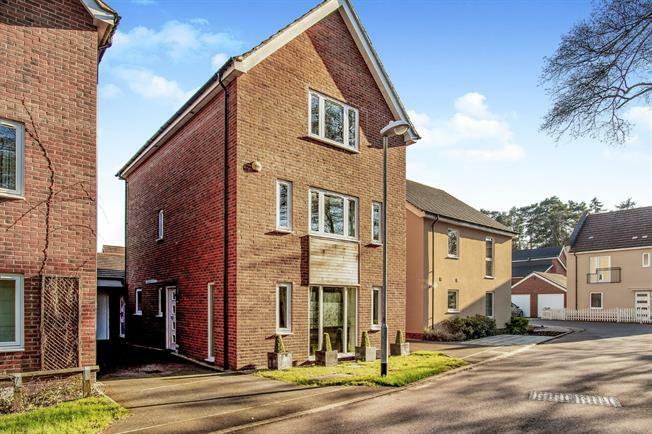 4 Bedroom Detached House For Sale in Bracknell for Guide Price £599,500. A rare opportunity to acquire this beautifully presented four/five bedroom detached property in the ever so popular area of 'The Parks' Offering excellent and versatile accommodation arranged over three floors comprising of entrance hall, kitchen/breakfast room, and lounge on ground floor. First floor comprises of three double bedrooms, family bathroom, and the second floor comprises of the master bedroom with a three piece en-suite and a further reception/fifth bedroom. Property also benefits from heating via gas radiators, double length driveway and a garage.